ʻAʻo speaks to birth, transformation, and joy. 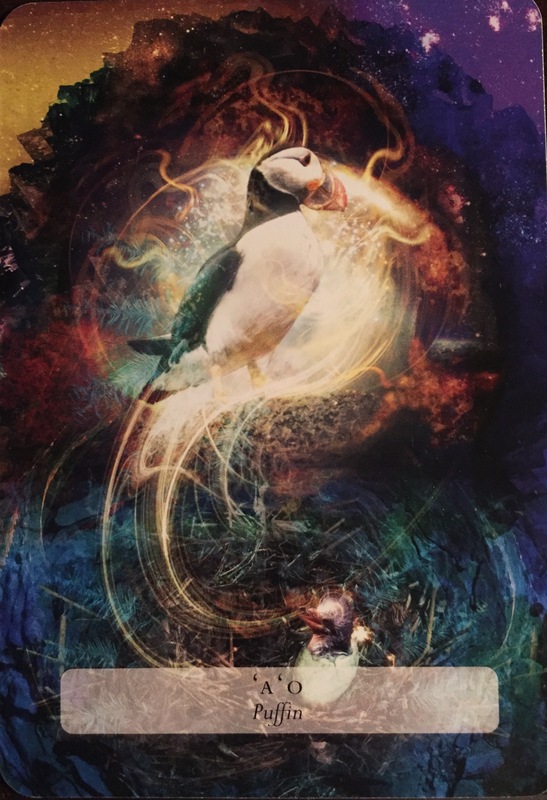 The Puffin lives on land but fishes in the sea. Straddling two worlds in perfect balance. The birth that ʻAʻo speaks of can be literal, you are going to become a parent! Which is a great transformation, and a joyous occasion! The birth can also be a project that you have been working on, that brings you happiness and will be quite transformative upon completion. You are a being that straddles two worlds: the physical and spiritual. How well do you balance the two? As well as ʻAʻo balancing land and sea? If not, it is time to rectify that! In order to create what you wish in the physical world you must achieve balance within your inner world. Do your inner work with joy, knowing that you have all the knowledge and resources to complete this work.